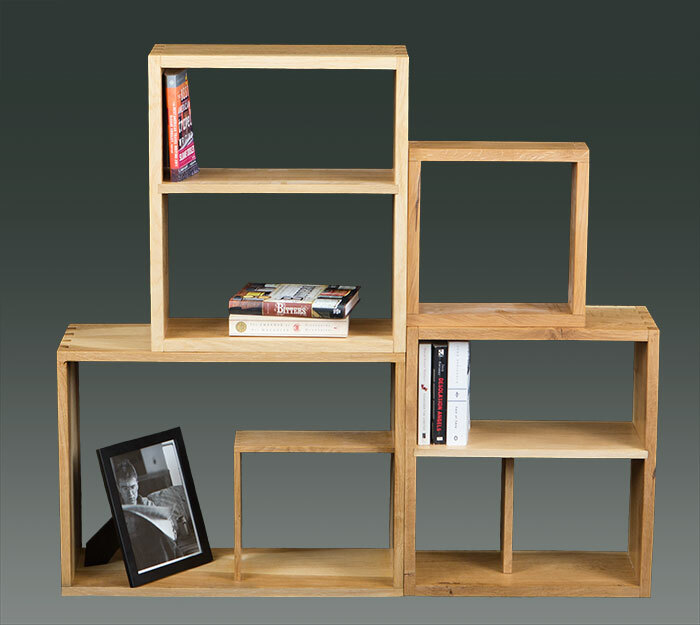 This modular bookshelf consists of dovetailed boxes with a shelf. Each box is approximately 24″ square and 10″ deep. The exact size is determined by the size of the rough sawn wood. The pattern possibilities in stacking the boxes are virtually limitless, and the boxes can be turned this way or that to accommodate books or photos of various sizes. These boxes feature some nicely figured quarter sawn white oak.